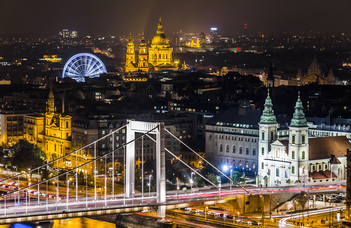 Budapest, the capital city of Hungary is located centrally in Hungary. From wherever you come from abroad, you can directly arrive in Budapest. Also, there is direct train or bus connection to major cities in Hungary. With about 1.7 million inhabitants, Budapest provides an enjoyable and vibrant atmosphere for international students during their studies. The large number of sights to visit (many of them parts of UNESCO World Heritage), vibrant cultural life, the reasonable living costs, well-developed and easy-to-use public transport network, and safety make Budapest popular among international students.